Migration has always played an important role in the history and development of human societies, but the past fifty years have seen marked rises in the movement and mobility of diverse populations worldwide. An unprecedented 244 million people now live in a country other than that in which they were born, a figure which has already increased by 41 percent since the start of the new millennium (UN Sustainable Development 2016). Moreover, the structural forces driving this trend (technological progress, demographic imbalances, economic inequalities, political instability, conflict, persecution and the effects of climate change) are unlikely to be reversed, and many predict an intensification in international migration over the course of the next century. In her analysis of this phenomenon, social anthropologist Aihwa Ong (2006: 499) promotes the idea of ‘mutations in citizenship’ as a means of interrogating the extent to which “[a]n ever-shifting landscape shaped by the flows of markets, technologies, and populations challenges the notion of citizenship tied to the terrain and imagination of a nation-state.” Specifically, her work draws attention to a growing disjuncture between the mobility rights of different populations in the contemporary global order and sheds light on the implications for contemporary understandings of the relationship between nationality and citizenship. On the one hand, certain (elite) population groups are increasingly able to respond flexibly, fluidly and opportunistically to dynamic borderless market conditions, moving freely around the world both for work and for leisure, and claiming citizenship-like rights and entitlements wherever they land. Those categorised as ‘surplus populations’, on the other hand, increasingly find themselves restricted in their efforts to make rights-based claims and to gain access to fundamental material needs, both within their home countries and as they attempt to move across national borders (Müller 2016; 2017). Indeed, as Hannah Arendt (1994) argued, the experience of refugees in particular – i.e. migrants in search of an escape from war and/or persecution – disrupts the perceived continuity between human rights and citizenship which underlies the ideology and structures of the modern nation state. Consequently, many voices, including translation scholars such as Moira Inghilleri (2017) and Loredana Polezzi (2012), now call for a renegotiation of traditional conceptions of citizenship, demanding a political agenda which might help better protect and uphold the rights and needs of those most in need of their material realization. This also has important consequences for conceptualising the role of translators and interpreters in contexts such as the asylum system and refugee camps (Barsky 1996). 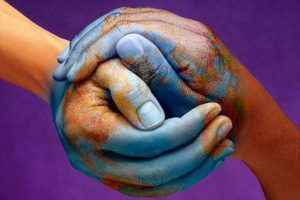 how are activists, humanitarian groups, aid agencies and engaged translators – as well as migrants themselves – working to expand the concept of citizenship beyond the ‘terrain and imagination’ of the nation state? 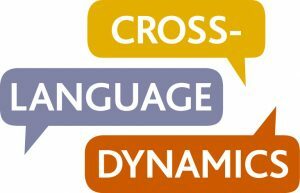 what role does language, and with it translation, play in the construction and contestation of the hegemonic political discourse surrounding citizenship, migration and mobility in the contemporary age? The symposium will feature contributions by Professor Moira Inghilleri, Dr Polina Kliuchnikova, Dr Tanja Müller, Professor Loredana Polezzi and members of the Genealogies of Knowledge research team. Arendt, Hannah (1994) Essays in understanding, 1930-1954: Formation, exile, and totalitarianism, edited by Jerome Kohn, New York: Schocken Books. Barsky, Robert (1996) ‘The Interpreter as Intercultural Agent in Convention Refugee Hearings’, The Translator, 2(1): 45-63. Inghilleri, Moira (2017) Translation and Migration, London & New York: Routledge. Müller, Tanja (2016) ‘Acts of citizenship as a politics of resistance? Reflections on realizing concrete rights within the Israeli asylum regime’, Citizenship Studies, 20(1): 50-66. Müller, Tanja (2017) ‘Realising rights within the Israeli asylum regime: A case study among Eritrean refugees in Tel Aviv’, African Geographical Review. Polezzi, Loredana (2012) ‘Translation and migration’, Translation Studies, 5(3): 345-356. 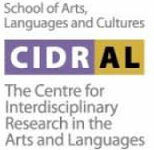 Centre for Interdisciplinary Research in Arts and Languages (CIDRAL).